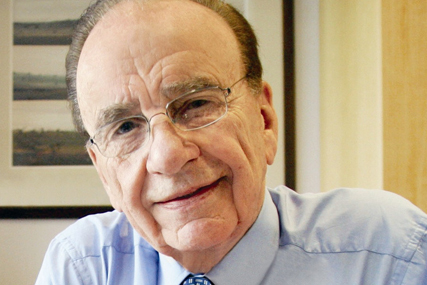 (Updated: 17:54) News Corporation's Rupert and James Murdoch have agreed to face questions from MPs next week about the phone-hacking scandal. The Murdochs will be in attendance with Rebekah Brooks, the embattled chief executive of News International, on Tuesday next week. The Commons Culture, Media and Sport Committee had summoned the Murdochs to appear before MPs after receiving letters saying they could not attend the session. In response to the escalating crisis over the allegations of phone hacking and police bribery at News International the Culture, Media and Sport Committee asked both Murdochs and News International chief executive Brooks to give evidence. Brooks accepted the request, James Murdoch offered to attend on 10 August but Rupert Murdoch said he would not attend, though he said he was prepared to give evidence to the judge-led inquiry. Rupert Murdoch is chairman and chief executive of News International's parent group News Corporation while James Murdoch is deputy chief operating officer of News Corporation and chairman and chief executive of News Corporation (International). In a statement the committee said it had made clear its view that all three should appear to account for the behaviour of News International and for previous statements made to the Committee in Parliament, now acknowledged to be false. A spokeswoman for the committee said it has the power to summon anyone in the UK, regardless of their nationality, to appear though they are not prevented from leaving the country between now and then. The Select Committee session will take place at the House of Commons at 2.30pm next Tuesday (19 July). Yesterday News Corporation announced it was to withdraw its offer of BSkyB, saying it was "too difficult to progress in this climate" amid escalating opposition to their bid. Last week News International made the shock move of announcing it was to close the News of the World amid a public, political and advertiser backlash against the unfolding revelations about the scale of alleged criminality at the paper.